U.S. and Cuba reach understanding to restore commercial air travel. Seen through a taxi’s torn window tinting, vintage American cars drive in Havana, Cuba in Jan. 2015. The gradual détente between the U.S. and Cuba continued this week as the one-time foes have reportedly reached an understanding to restart commercial air travel between the two countries. An announcement is imminent, according to the BBC, on what’s considered to be the biggest deepening of economic ties since the historic reset of the relationship a year ago. Even when the formal deal is struck it could still take several more months for Cuba to negotiate terms of operation with U.S. airlines before flights can begin. “Since the announcement last year that the U.S. would establish diplomatic relations and expand trade and tourism with Cuba, major U.S. airlines, including American, Delta, United, JetBlue and Southwest, have expressed interest in establishing regular flights from the U.S. to the island,” according to the Associated Press. 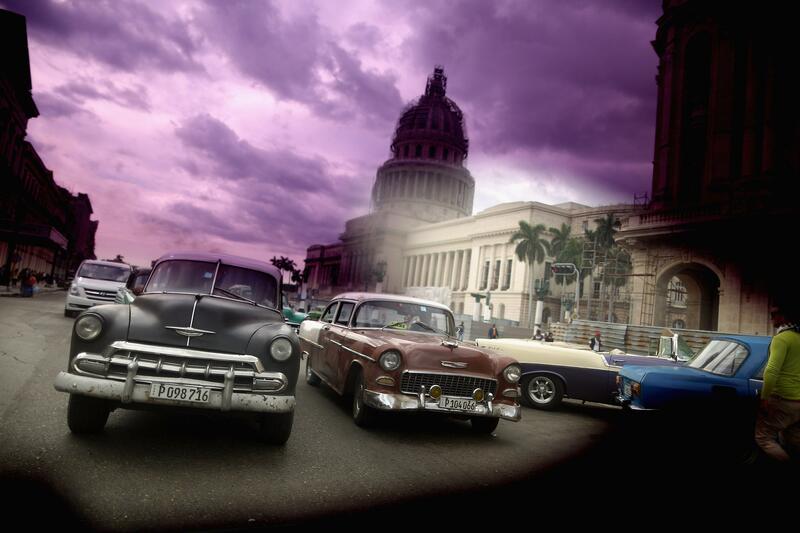 American aviation officials estimate Cuba could allow more than a dozen fights to and from the U.S. daily, which would be a marked improvement over the cumbersome system of pricey chartered flights or stopovers in third countries that passengers currently face. Thursday marks the one-year anniversary of the normalization of relations between the U.S. and Cuba. This summer both countries reopened embassies after decades of official silence and back channel diplomacy following Castro’s ascent to power in 1961 during the Cuban revolution. Last week, the two countries announced the resumption of mail services.